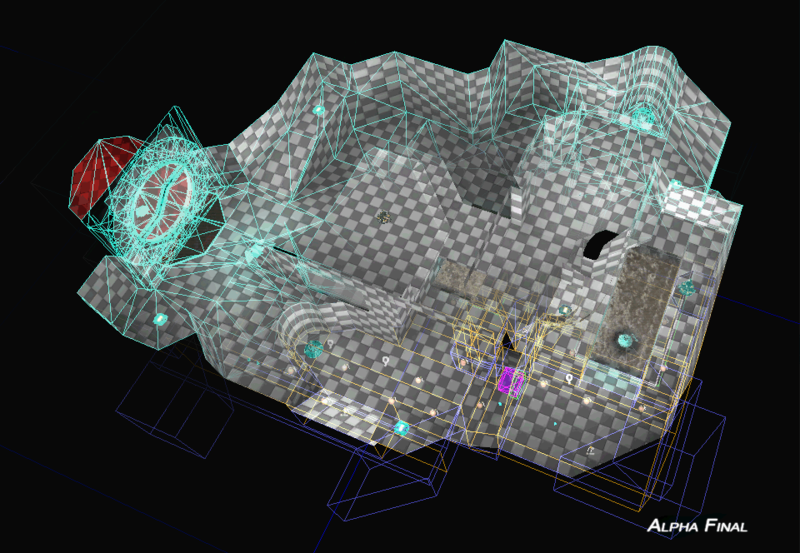 Mapping for UT3 : there’s some next-gen around. 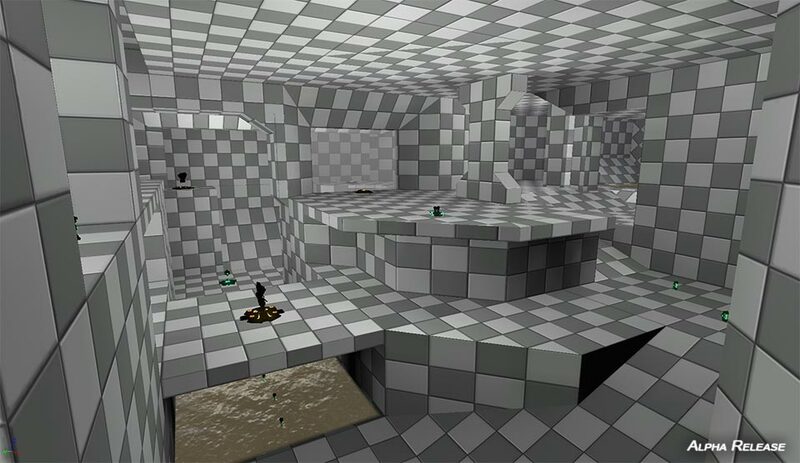 Firstly a little introduction : about three weeks ago I started to work on a map for Unreal Tournament 3, “from scratch“, and now we are two working on the project. First steps working with the editor is really great : the engine is cool, some reflexes from the early engines are still here, even if some annoying bugs are still around (the disappearing cursot aaargh !!). Overal, the Unreal Engine is great ! Two weeks later we have an already approved layout v.3 ! Doors are initialy closed, and as soon as the pickup appears, the trigger starts blinking at the other side of the level. Anyone shooting at it will trigger the opening sequence. 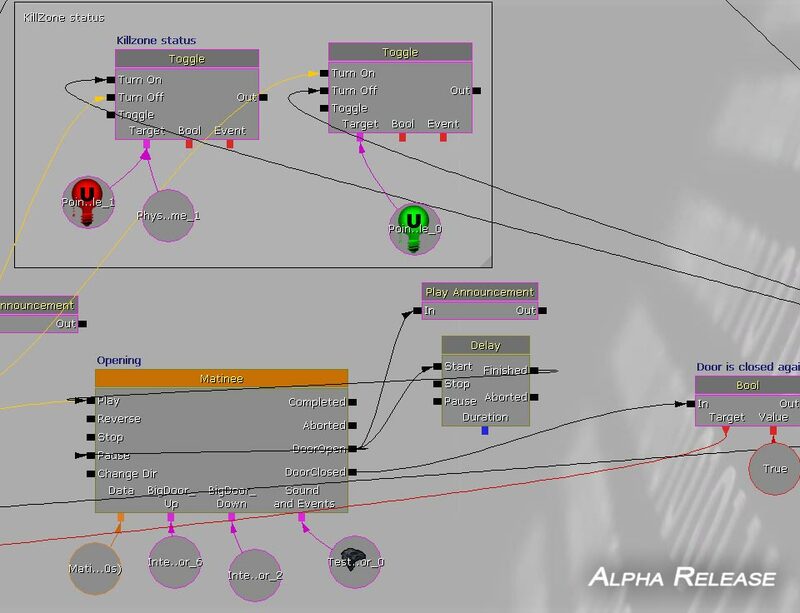 The “Kismet” editor of UT3 looks quite complicated, but it’s probably one of the most accessible scripting system I ever seen. You can even make animation with it, that’s amazing. 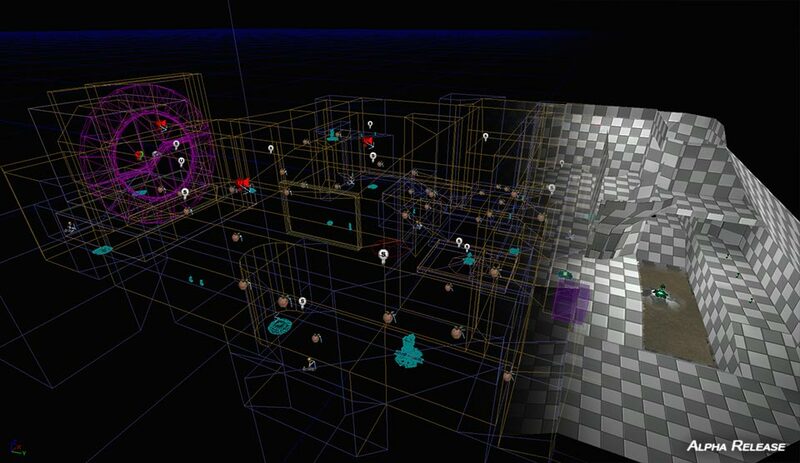 Then we keeped working on updates, taking account of feedback on forums (at this stage the map is at version 7). 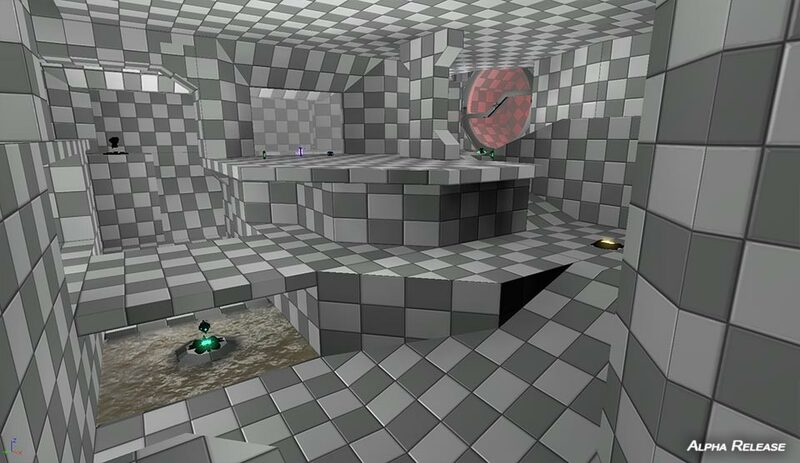 We really tried everything, the map started to look like gruyere cheese. 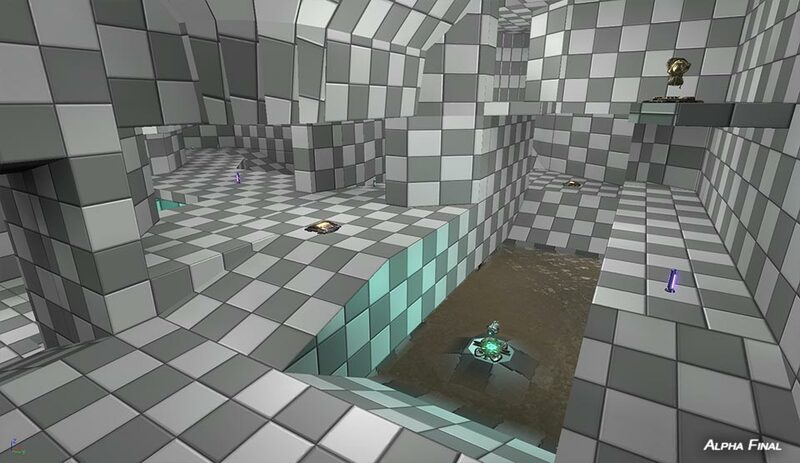 And since more corridors and rooms means more work, we finally did some kind of “mixmapping” : we took parts of different versions to make a clean new one. The reassembled version is v9. Almost there, we worked a few more to improve the result, after that we will leave level design as it is, even if it’s not perfect ! Four days later, here we are : version 12 - Alpha Final - ready for graphical part. However there are a few Kismet bugs to solve : bots don’t know how to shoot at a trigger, and the trigger don’t glow on network. If you know how to solve this, please help us ! That’s the next part, after our layout is really great, we choose a theme to make everything looks better ! 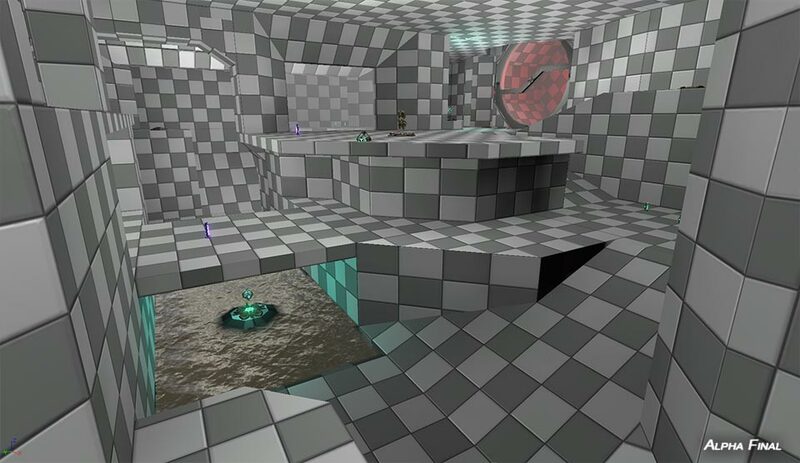 This entry was posted in Unreal engine by TweaK. Hello, is your website having any problems lately? I had to refresh the website about 8 times till the 404 error went away and I could read this post! Is there an issue with the RSS feed here. Looks like a broken link to me?